A 6-year-old boy is dead and and a 7-year-old girl is in critical condition after they were stabbed in the elevator of a Brooklyn building Sunday evening, police said. The children were attacked around 6 p.m. at the building on Schenck Avenue in East New York, police said. The boy, identified as Prince Joshua Avitto, was found near the elevator and the girl was found just outside the building. Both children were taken to Brookdale University Hospital where the boy was pronounced dead. The little boy, whom friends and relatives described as "the sweetest of boys," was to turn 7 on June 17. Now his family is planning a funeral instead of a birthday party. "No parent should have to go through this. He killed my baby," his mother wailed as she collapsed into a friend's arms outside the hospital. 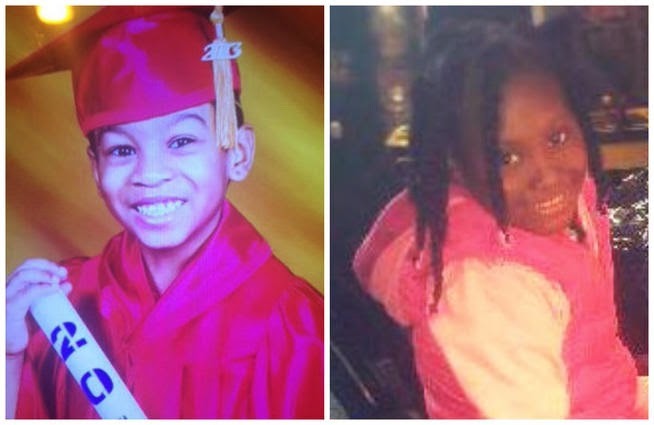 A relative said the children are not related and that they were "just playing like children do" when they were stabbed. Both families expressed disbelief that a man could stab two children for seemingly no reason. Police said they were searching for a man in his 20s who was last seen fleeing eastbound through the housing development where the children were stabbed. A knife was found at the scene.